Mooching around with just my camera for company is one of my favourite distractions, and wandering about looking for the next photo is a bit like taking a dog for a walk. It’s a spur for getting out, a catalyst, and it doesn’t really matter whether I come back with any good photos or not, it’s served its purpose in driving me to explore, wander down nooks and crannies I might otherwise have passed by. 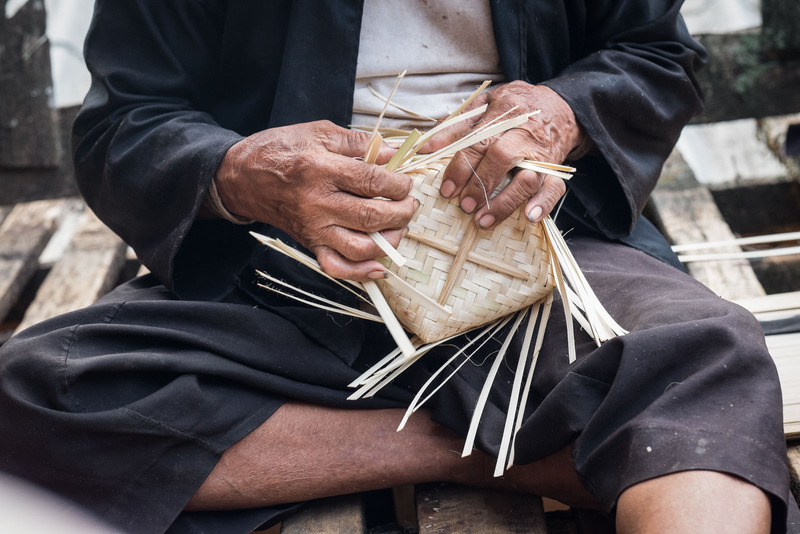 It was down one of these nooks and crannies that I came across an old boy from the Black Lahu hill tribe, sitting on his verandah early one morning weaving baskets for holding rice. Dog walkers also have a ready made reason for starting up a conversation so the walks often become quite sociable, and here again my camera comes in handy. I pointed to it as way of asking if I could come up and meet him, and he invited me up to his verandah. 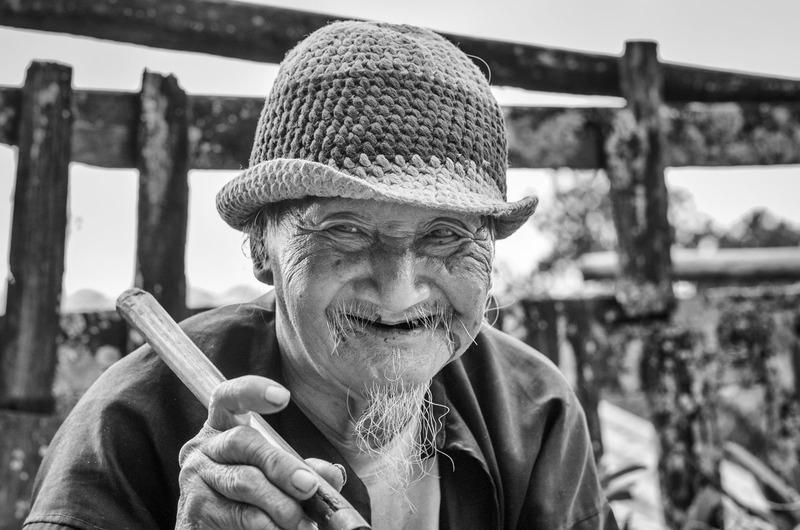 The Lahu are not a very large ethnic group, and most of them live in mountainous areas of northern Myanmar and Yunnan, China. 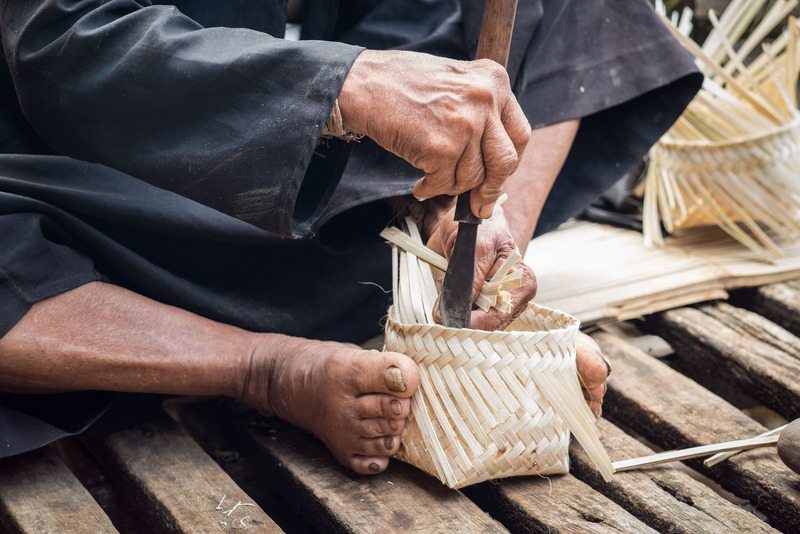 Clusters of several Lahu subgroups live in the the mountainous area of N.W Thailand and for the time being at least have managed to hang on to their traditional way of life to a large extent, especially the older generation. 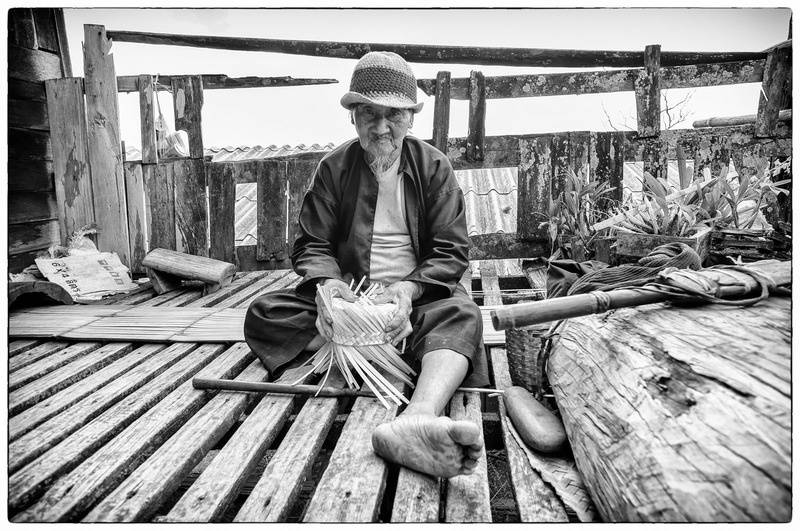 It was such a simple pleasure to sit in the early morning air and watch this elderly man contentedly practising an age-old tradition of basket making using his hands and feet to skilfully weave the bamboo just as his forefathers have done for generations before. I watched for a while then took some photos which he seemed to enjoy, before wandering back in time for breakfast, grateful that my camera had taken me for a walk. Very nice! You have a lovely relaxed “natural light portrait style”.